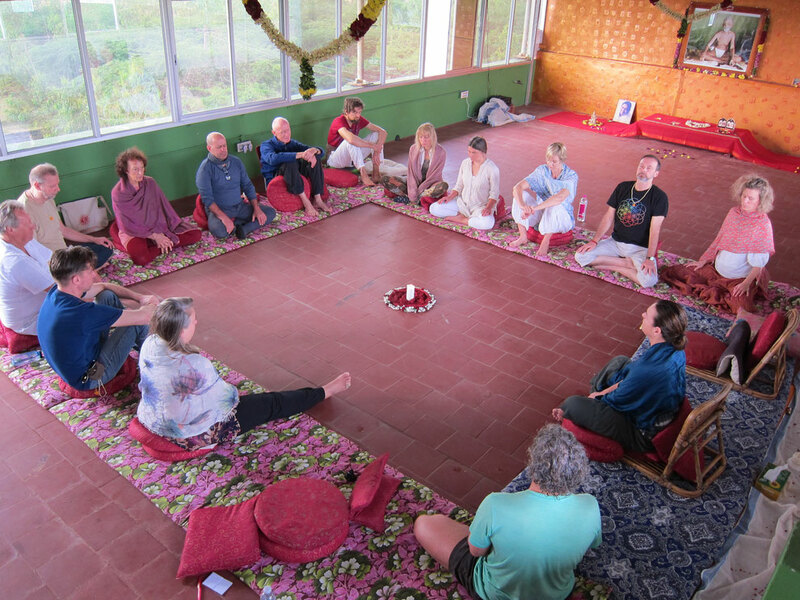 Satsang (Sat = Truth, Sang = Community) means, coming together consciously to re-connect "again" with the Source, Love, Presence, Silence, with the "unspeakable nameless", some call it unconditional Love, the Core, God, Nothingness ... But no word could describe the Essence, which is always HERE, that what you truly ARE. In awareness, playfully including the body, effortless we explore THIS which everyone actually knows, but most often has lost connection through life's circumstances or early conditioning. Recognizing who YOU ARE is effortless and naturally brings your attention to Here & Now, this is where upmost healing, peace and the ending of stressful thoughts happen. HERE there is Oneness, only the Mind creates separation. Happiness and peace is our natural state. Body-Satsang means we also include the body & nervous-system which learns in these meetings, letting go of old tensions and a new openness and vulnerability arises. Meeting in Truth is without concepts, leaving story's, beliefs behind. Each moment is fresh and we may start new, knowing nothing! Each of us are beginners, always ... in conciousness there are no "higher or lower levels" ..